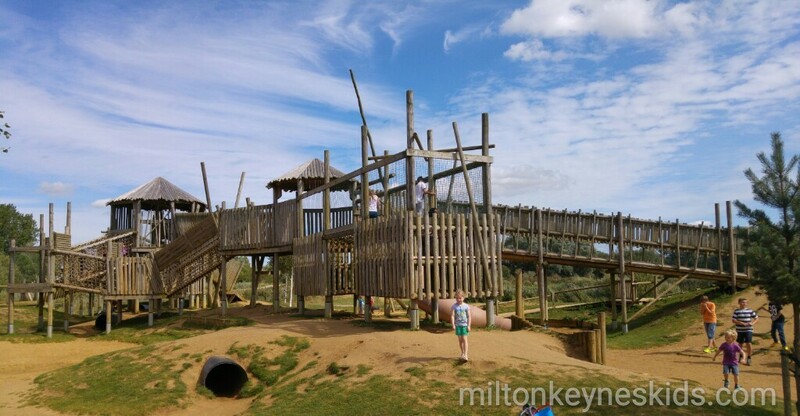 Hands down, Stanwick Lakes is one of the best, cheapest days out that you can take the kids on. It’s in Northamptonshire, so it’s fairly central and I’d suggest that if you’re within an hour’s drive then it’s worth travelling to. 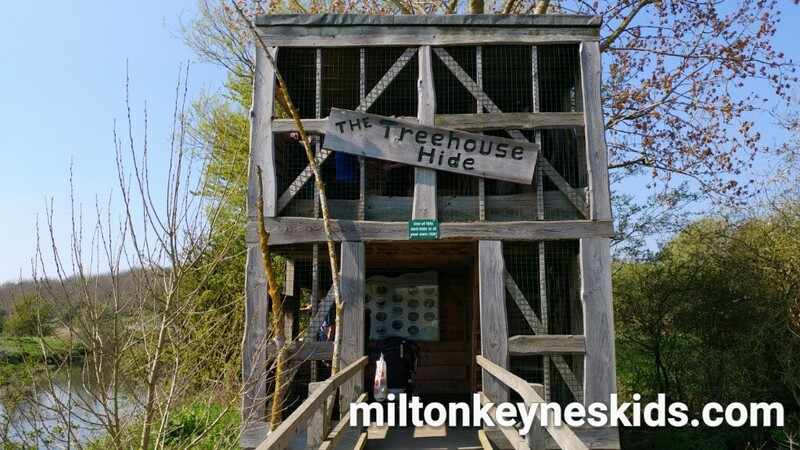 It’s a brilliant country park – there’s so much to do and you only have to pay to park. Watch our video below which features some of our best bits of the park and then scroll down for more information. 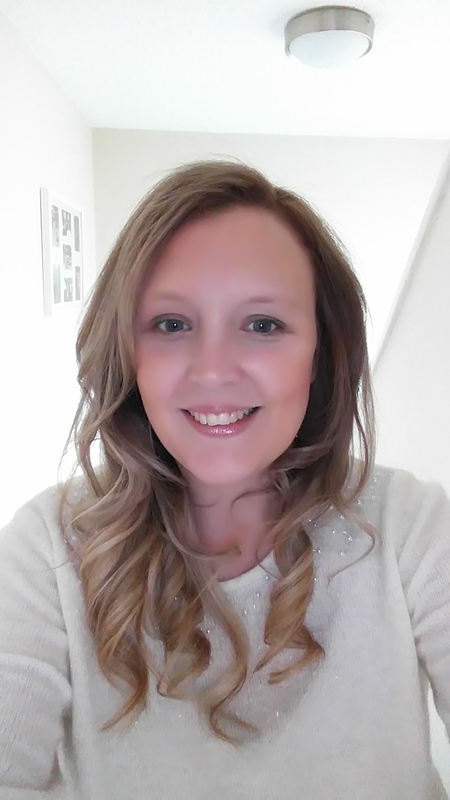 And remember, I do this blog for free – it’s not my job! So if you do find this information useful do comment on this blog post or leave me a review on Facebook. 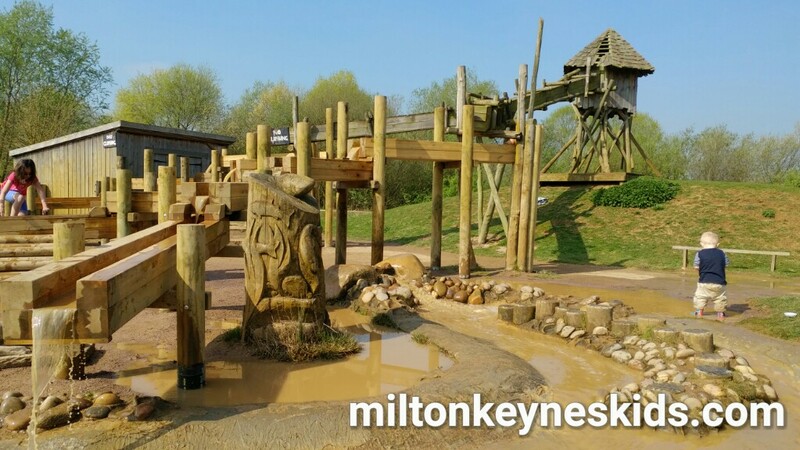 What is in the main Stanwick Lakes play area? Directly in front of the car park there’s a big play area for children. There’s an absolutely huge climbing frame – it’s certainly the biggest one I’ve ever seen. It’s on a number of levels and appeals to children of all ages. I did accompany my eldest son – who is approaching four as I write this – as you could easily lose young children or they might find themselves unable to tackle parts of it. There are two small climbing frames set in sand which both have slides which are better for under threes. My boys both love the sand and water area. My youngest son (approaching two) loved splashing in the water and collecting some in a cup and emptying it again. There’s also a wooden pirate ship. 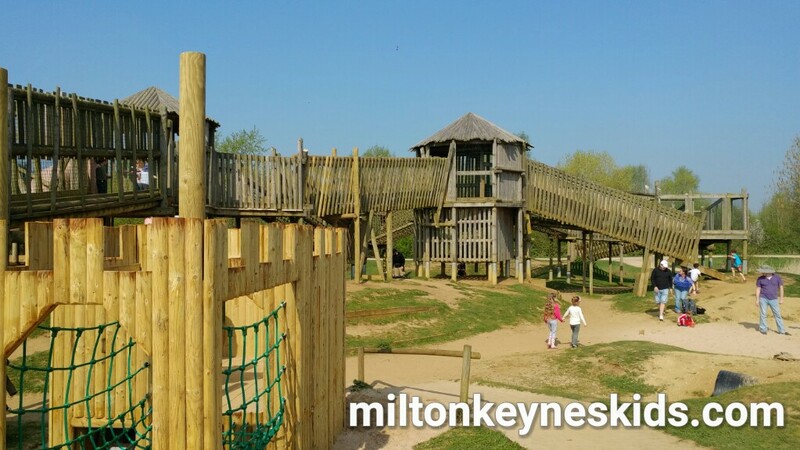 What else is there for kids at Stanwick Lakes? There’s a really good adventure trail which takes you on a lovely walk. With your back to the big play area turn right and start walking. You’ll go over a bridge and veer left. Go down there and you’ll come to a bird hide. My boys love going in it and up the stairs. 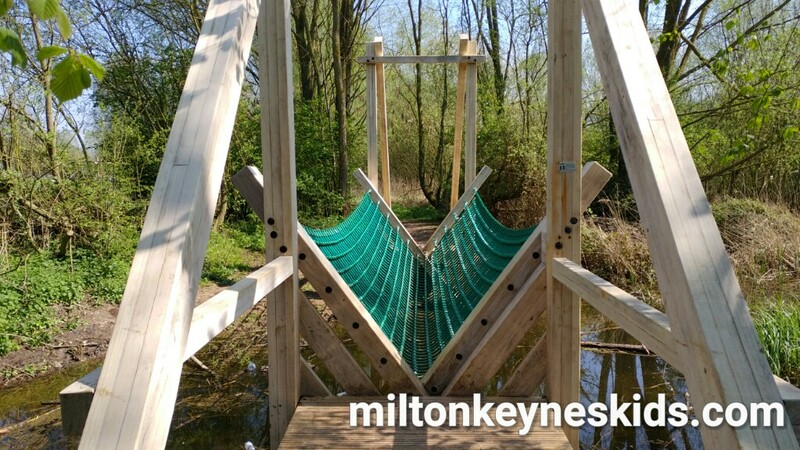 On the walk there’s also tyre swings, balance beams, a wobbly bridge and a zipwire. Once you’ve finished there then the walk takes you back around to the play area. There’s a really old mud hut on the way. 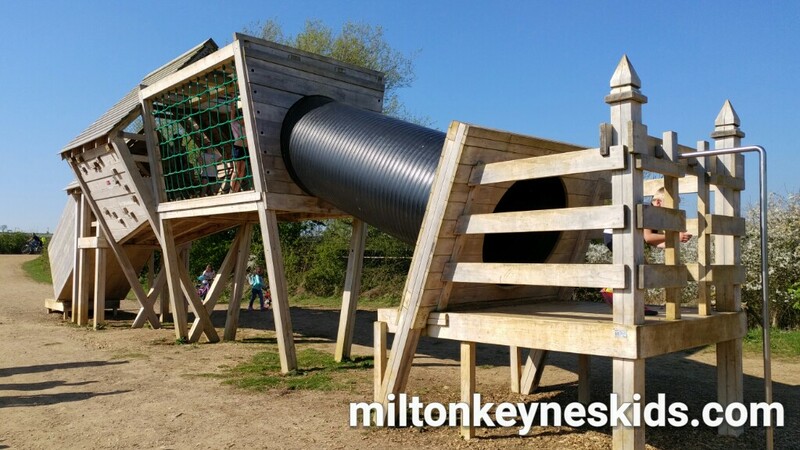 The other area of Stanwick Lakes that we discovered for the first time during our most recent visit is the assault course. It’s located about a 10 minute walk away from the visitors centre. For those of you who were children of the 80s then the assault course is a bit like being on the Krypton Factor. My eldest son managed to do some of it with a bit of extra help from his older cousins. My youngest son just pottered around. I’d say it’s most suitable for children aged three up (providing they like to climb). If it’s raining then head to the small soft play area in the vistor’s centre – an extra charge applies. What is there to eat at Stanwick Lakes? There’s a really nice café serving a variety of sandwiches and light meals like jacket potatoes. They also sell ice-creams – which we found were a bit cheaper than the ice-cream van which is also there. We took a picnic. There is an area just behind the adventure playground set aside for having a barbecue. Any tips for enjoying Stanwick Lakes? There are toilets inside the visitors centre as well as some outdoor toilets near the adventure playground. You can take dogs but they must be kept on leads. It can get really busy on hot days – so busy in fact that they have been known to turn people away – so definitely get there reasonably early. We arrived at 10am on a nice day in April and parked easily, but I suspect as the summer goes on it’s worth getting there as early as you can start your day. The site does open up at 7am if you really want to make a long day of it. Arriving when we did gave my boys lots of time and space to enjoy the adventure playground – after lunch it was really busy. We did the playground first, then had lunch, then did the adventure trail followed by the assault course and that took us to 4pm. You MUST take spare clothes and a towel for the children – they will get dirty and wet. Flip flops are a good choice of footwear for the sand and water area, and take trainers for walking and exploring. 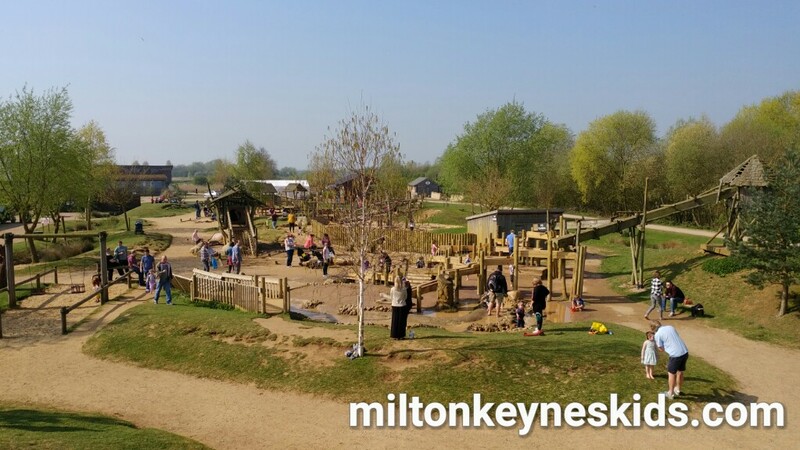 If Stanwick Lakes is quite far for you to travel, then do remember to look at the Milton Keynes Kids Map so you can plan to go to other places – Irchester Country Park is relatively close by. How much does Stanwick Lakes cost and where is it? If you’re on cycle or foot then you can just go in Stanwick Lakes for free. If you’re in a car then there are no admission charges as such but you do need to pay to park. The price depends on the time of year, and at the time of writing in May 2017 the price varies between £2.50 a day and £5.50. For the latest times, prices and facilities have a look at the Stanwick Lakes website. 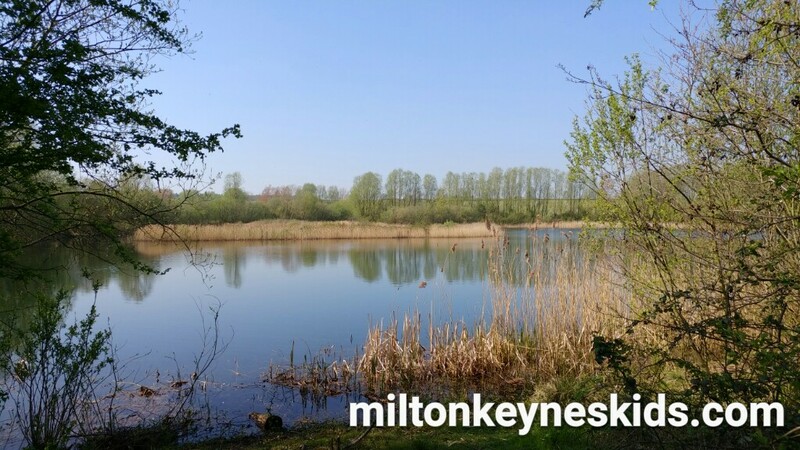 Stanwick Lakes is situated off the Stanwick roundabout on the A45 in East Northamptonshire between Wellingborough (eight miles away) and Thrapston (seven mi les away). The postcode for Sat Nav directions is NN9 6GY.